My wife and I are a couple of weeks behind on our viewing of American Horror Story but we’re really enjoying it. 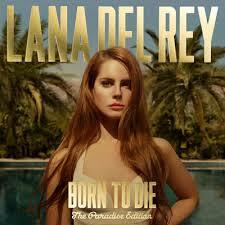 It turns out, I already liked one of Del Rey’s songs. Amanda Palmer did a cover of this track and it’s a regular on my iPod. Incidentally, if you are looking to buy some Lana Del Rey songs, she has a special edition of her first album, Born to Die, which includes both Born to Die and her second album, Paradise. I think it’s about $5 cheaper than getting them both separately.